Dr Govinda KC’s fast-unto- death for broader reforms in medical education has become the subject of debate and discussion from the social media platform to the parliament. Political parties, main opposition Nepali Congress in particular, have made his campaign their political agenda. Leaders, cadres, even intellectuals seem to be divided into two groups: Those who support the government and those who support the opposition party. That is beside the point here. I want to explore the situation of Nepal’s health system and its future prospect. 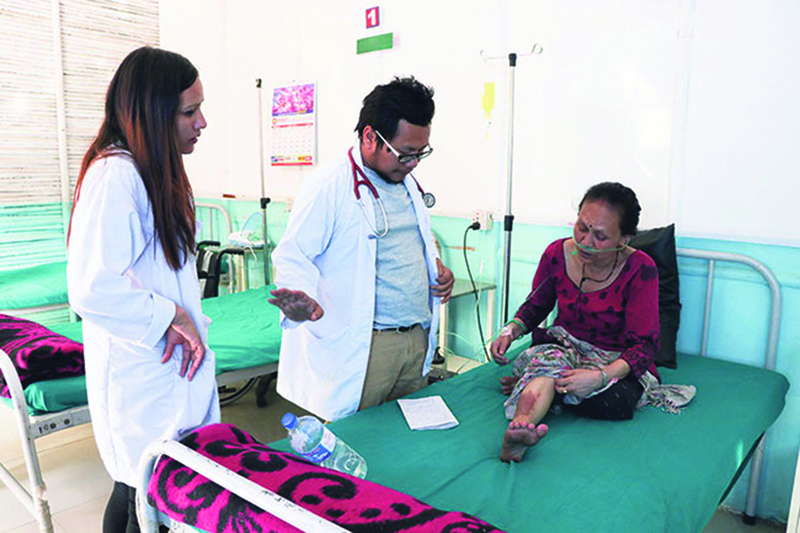 In Nepal, there is a distinct division between primary health care and clinical care. Primary health care services, primarily managed by department of health services, are delivered through public sector. There is no or minimal involvement of private sector in primary health care. Despite some remarkable achievements, Nepal has not been able to achieve the universal health coverage. The systematic challenges include rampant corruption at all levels, inadequate supplies of health commodities, poor governance, issues such as trade unionism, and frequent transfers of health workforce, to mention a few. Private sector is dominant in clinical care sector. Few public hospitals are located at zonal level and above, but these institutions chronically suffer from poor management and are not able to serve the poor people. On the other hand, the profit oriented private hospitals are situated near to the public hospitals, and are waiting to attract more and more poor people toward them. The clinical care in Nepal is so commercialized and objectified that it nearly disregards humanity and morality. The over-objectification of human’s health sometimes causes public anger, and at times has resulted in attack on health providers and even institutions. Given this, future prospect of health services in Nepal looks catastrophic. All four organs of the state seem to be working for privatization of clinical care. Even the members of executive and legislative bodies are found to have invested in medical colleges, making laws that favor private investors. To make the matters worse, the judiciary is providing legitimacy to the decisions of the parliament and the executive. Media has not been able to strongly oppose those wrong decisions. It is all fair and sound in words and speeches. Prime Minister of the country states, now and then, that socialism and democracy are the guiding principles of the government. In practice, the government is pro-private sector. In countries like ours, investment in clinical care from private sector has failed to address the high out-of-pocket expenditure of people. And the situation won’t change unless universal health insurance system is strictly implemented. Profit-oriented health system and universal health care system cannot go together without social insurance system. Looking at the systemic problem of our health system, we need to consider three interacting components: the content, actors and environment. The content includes the package of health services which include combined functions of health institutions, health service providers, medicines, equipments, clinical procedures and interactions. The content of primary health care is provided by public sector which is itself suffering from systematic challenges. And clinical care is privatized. Environment includes all legislative social and economic policies including health policies and insurance, disease burden, social determinants of health, policies on health workforce development and others. The enabling environment is the foundation of delivery of health content (services). At the moment, the most challenging component is poor enabling environment. Even state bodies seem bent on dismantling the public health system making it easier for private investors to thrive and jeopardize people’s right to health. Finally, the actors are leaders of health and non-health sectors including politics, academia, media and civil society who advocate for enabling environment and universalisms of quality health services. But these actors are divided into various interest groups and are not advocating for public health. Ideally, these actors are also the change-makers, but in Nepal, they are blaming each other for personal interests. While exception like Dr KC has put his life on the line several times for broader reforms in medical education and public health, the government often views him as an enemy of prosperity and development. More than one quarter of the country’s population live below the poverty level. 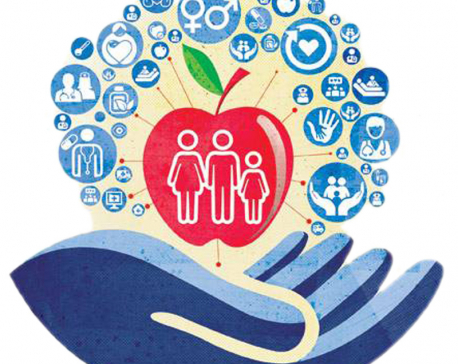 Out-of-pocket expenditure for health in Nepal is more than 55 percent. If this situation is allowed to be continued, access to quality health care services will remain just a dream for common Nepali people. Poor public-sector investment in tertiary health care, centralized and privatized health services, private-oriented policy making and conflicting interest of actors show our health system is going to collapse soon. We must all rise to prevent this from happening.